June 23, 2016	(Press Release) - Alderbrook Homeowners Association, Inc., off Sandy Ridge Road in High Point, has selected Association Management Group - Greensboro/High Point (AMG), one of the Carolinas' largest professional homeowner association managers, to manage its vibrant community of 263 single-family homes. According to AMG Community Manager Candace Cole, the company won the business based on its impressive track record. "Alderbrook, which was established in 2005, was looking for an established management firm that would put its best interests at heart," she noted. 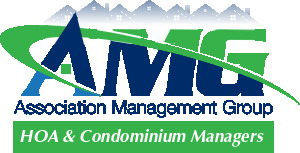 "The community appreciated that AMG is detail-oriented and combines strong administrative support with exceptional customer service." 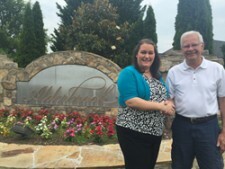 According to Alderbrook HOA president Ted Reynolds, AMG's professionalism was a deciding factor. "We felt AMG had the experience and the longevity in the business to provide the skills we needed," he said. "The company's professional approach included a one-on-one meeting with our board of directors and a thorough explanation of all they had to offer. We felt that attention to detail, coupled with the latest in information technology, would allow our community to stay abreast of all pertinent issues. In short, it's a professional group doing a professional job for all the residents of Alderbrook." AMG will provide Alderbrook with the full range of governance services: from working with the volunteer board on effective policies and procedures to assisting with contract negotiation and budgeting to managing maintenance issues to enhancing community communications. AMG founder and President Paul Mengert believes the community will benefit from AMG's proven success. "AMG is an industry leader because we take the job of supporting communities and their volunteer leaders seriously," he said. "As managers of HOAs, we make it easy for our customers to succeed in both the everyday work as well as the challenges, providing the best minds and solutions to help them create a healthy, harmonious and attractive community." For more information about HOAs or AMG management, contact Candace Cole, Ccole@amgworld.com.